An elegant three bedroom apartment set on the second floor (with lift) of this smart white stucco period building situated in the heart of South Kensington. The apartment is presented in good condition throughout and has a beautifully proportioned south facing reception room with high ceilings, separate kitchen, master bedroom with en-suite bathroom, two further double bedrooms (one currently set up as a study) and a guest shower room. 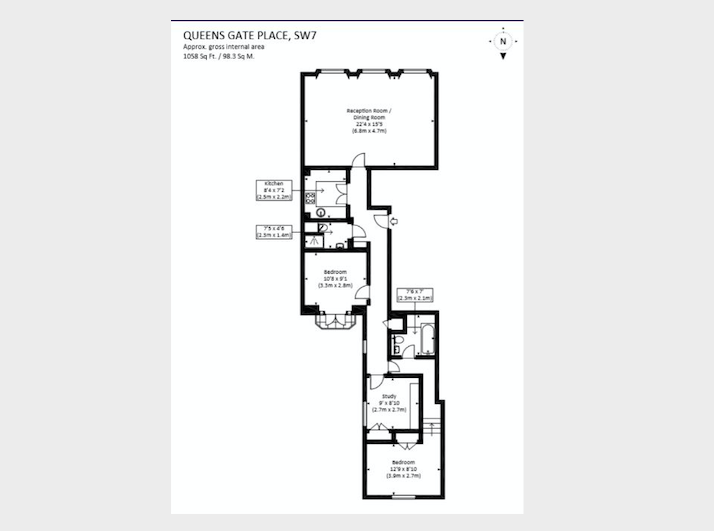 Queen’s Gate Place is perfectly positioned for the transport, shopping, museums and excellent schools situated around Gloucester Road and also the close proximity to Hyde Park and Kensington Gardens.